Affinity for artifacts (This spell costs 1 less to play for each artifact you control.) 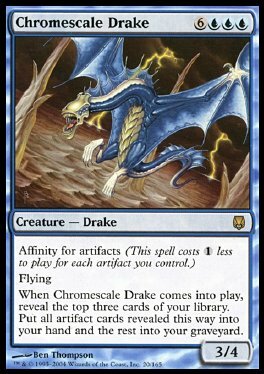 Flying When Chromescale Drake comes into play, reveal the top three cards of your library. Put all artifact cards revealed this way into your hand and the rest into your graveyard.